Another Excellent Year at CES. As mentioned in the previous post, this year we saw the most technical advancements in along time in audio. This year we have decided to focus on high performance audio as not much advancements in video has been made since 2014. 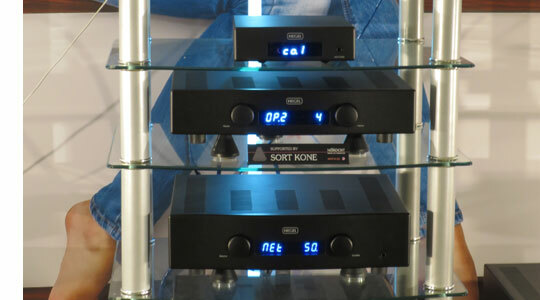 Above is Linn’s new Akudorik Exakt stereo System. 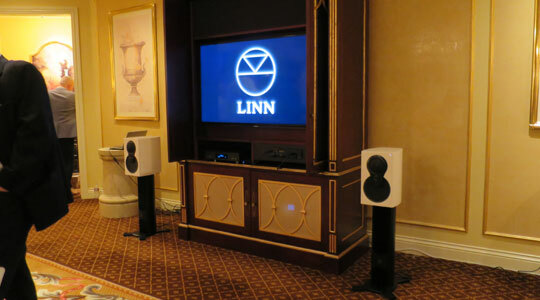 Linn was showcasing the newest development in Exakt technology. Linn’s Exakt technology pushes loss-less digital signal all the way to the speaker reducing noise and distortion usually found in analogue components. The Exakt system can be optimized to your room and listening conditions. Look out for future updates as we will have a Linn Exakt system coming soon. 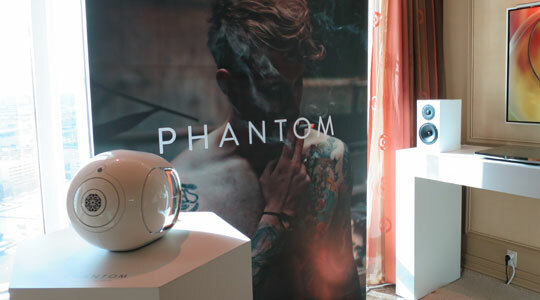 In a private suite at the Mirage, Devialet was showing off it’s newest product Phantom. This new unit is a wireless speaker that can be used as a multi room and home theater system. The sound quality has to be heard to be believed for such a size. After doing some listening tests, I still could not wrap my head around what was coming out from such a small system. The Phantom is scheduled to be released in North America in May 2015. 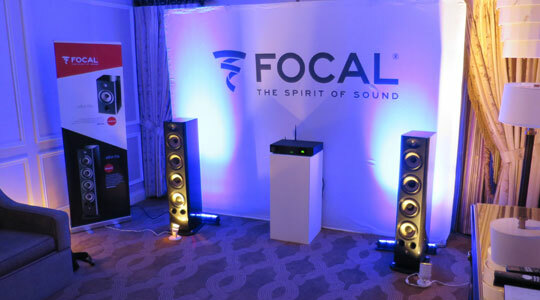 Focal was showing off it’s highly successful Aria speaker range. Using newly designed drivers made from Flax the bass was quick and tuneful. We have all the models available to audition at our store. Shown on the left the new Revolution XT series coming soon to Canada. The XT series features a newly designed dual concentric driver. The middle and right speaker are Tannoy’s definition series which has been upgraded with a better base and feet and new refined drivers. Tannoy’s Canterbury is one of the few traditionally styled speakers. 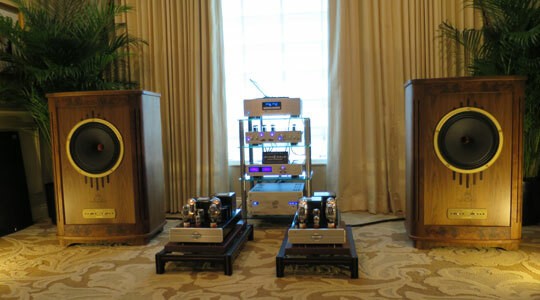 These large speakers houses it’s famous single dual concentric driver which images like small stand mount. These cabinets are a work of art, rarely found these days. Hegel’s room was showing off it’s newest addition to it’s product line. 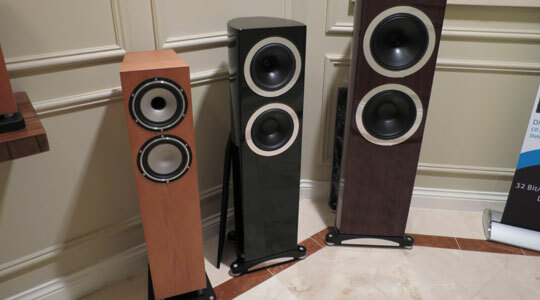 The Hegel H160 can almost drive any speaker even ones which pose a difficult load. The Hegel H-160 also features advance airplay which sounds much better then your standard airplay devices. If you have not heard of Hegel products come down to our store it’s worth a listen. 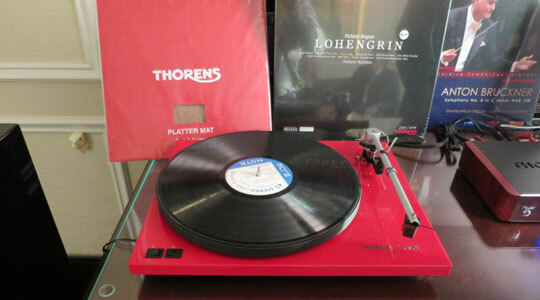 The new Thorens 203 turntable uses a newly designed uni-pivot arm which to my knowledge is the first in it’s price class. Hopefully to be released sometime in March 2015. Keep checking back for more updates and info on CES 2015!